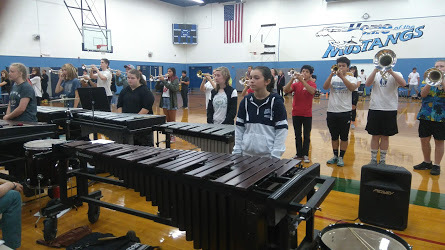 With the air quality keeping not only the band, but also the sports teams indoors, it was a challenge to find rehearsal space at this year’s band camp, but a lot of progress was made nonetheless. The band is sounding great and in just two years we’ve gone from no front ensemble to as many Marimbas and Vibraphones as can fit in the trailer. This fall we are fortunate to have a larger staff of enthusiastic instructors and assistants, amazing parent volunteers, and talented kids who are excited about putting on a fantastic show. If you weren’t able to attend the band’s Friday parent show performance, Barb Tuckett added some photos and videos to the Mac Band Members Only Facebook Page. Be sure to take a look. In addition to the countless hours the kids will put in practicing on their own, the band has 2 rehearsals and 1 game coming up this week. 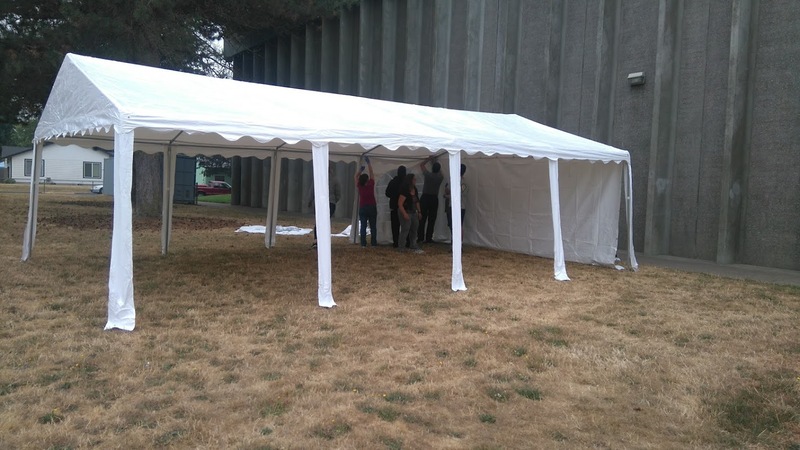 Two new canopies will keep the band out of the weather and under cover at competitions this fall. Each measures 16′ x 24′ and they come complete with side walls and roll-up doors. An eager group of parents did a test setup during band camp to see how the pieces fit. It’s an easy assembly and quick to take apart and put back in the handy travel bags. Is the Facebook group private? The link takes me to a Facebook error page and any searches on Facebook are unsuccessful.